A scene from the 2008 movie "Shutter" shows a ghostly shape in a photo. Paranormal investigator Joe Nickell has busted a lot of ghostly myths over the past 40 years — but the spookiest part of his job comes when he actually catches a ghost red-handed. No, we're not talking about spirits of the dead: These "ghosts" are hotel clerks who flick the lights to keep the guests talking about the place's ghost story. Or a mischievous child who plays tricks on his parents. Or maybe a camera crew catching weird-looking "orbs" floating through the frame — orbs they didn't notice until they looked at the pictures later. "Much of what so-called ghost hunters are detecting is themselves," Nickell, the author of "The Science of Ghosts," told me this week. "If they go through a haunted house and stir up a lot of dust, they shouldn't be surprised if they get a lot of orbs in their photographs." The orbs are actually out-of-focus reflections from a camera flash, created by dust particles floating in front of the lens. The clumping noises that ghost hunters hear often turn out to be the footsteps of crew members elsewhere in the building, or even someone on a stairway next door. And those weird readings they pick up with thermal imagers? They're typically left behind by the flesh-and-blood visitors. Tracking down the truth behind spooky sightings is a tough job, but somebody's got to do it, Nickell said. "It takes only a moment for someone to say that they saw something," he said, "but it can take a huge expenditure for someone to fly somewhere, and they might never re-create that one little moment." 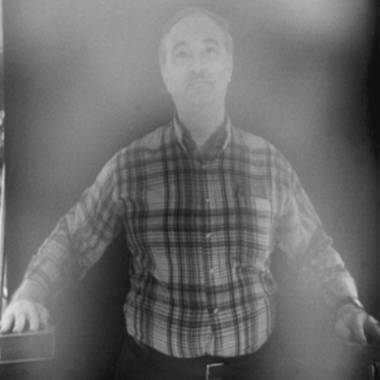 Paranormal investigator Joe Nickell appears to be surrounded by an aura in a photograph that was created to duplicate a spooky effect. Nickell, a former professional magician and detective, has been that someone for Skeptical Inquirer magazine and the Committee for Skeptical Inquiry since the 1970s. "I've been in more haunted houses than Casper," he joked. And the truth is that there are worse jobs in the world. "I wouldn't want anyone ever to know this, but it really is a great deal of fun to do what I do," Nickell said. In "The Science of Ghosts," Nickell spins a series of tales about his worldwide travels. His first haunted-house investigation, in 1972, took place at Toronto's Mackenzie House, where residents reported seeing apparitions hovering over their bed, and hearing footsteps when no one else was in the house. 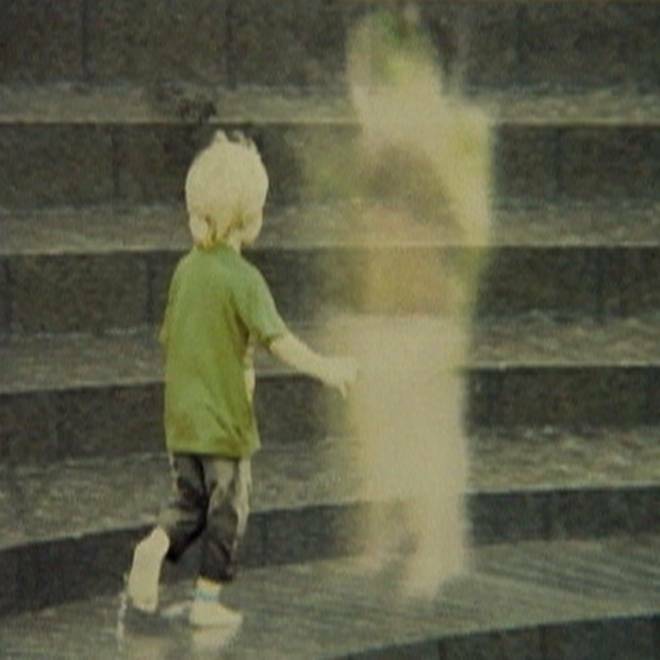 Nickell ascribed the apparitions to "waking dreams," a phenomenon that leads people to see things when they're half-asleep or in an idle reverie. And as for those footsteps: Nickell found out that there was an iron staircase in the building next door. The strange sounds were traced to a late-night cleanup crew tromping up and down those stairs. Nickell learned a lot from that first case. "You must go on site, and you must investigate just like any other piece of detective work," Nickell said. "You can treat the house as a sort of crime scene." Other cases involved spirit photographs, such as the ones that show orbs or bright streaks. One family called Nickell in to explain a series of pictures that showed bright, hazy loops of energy in the foreground. Nickell eventually figured out that the loops were created when a flash bounced off a camera strap dangling in front of the lens. "Now we know about the camera-strap effect," Nickell said. "The people who profess to be able to talk to the dead tend to be either fantasy-prone personalities, or charlatans, or possibly a bit of both," Nickell declared. "They would be harmless if they didn't mislead so many people." Nickell totally understands why a belief in ghosts and the afterlife is so important to people. "If ghosts exist, then we don't really die, and that's huge. ... It appeals to our hearts," he said. "We don't want our loved ones to die. We have this whole culture that we're brought up with, that encourages this belief in ghosts." Once a ghost story gets attached to a place or a situation, then almost anything that happens can be interpreted as supporting that story, he said. That's one reason why ghostbusting can be a thankless job. Another reason is that it's so hard to wrap your arms around the evidence — or, more appropriately, the lack thereof. "No one is bringing you a ghost trapped in a bottle," Nickell said. "What they're offering is, 'I don't know.' Over and over, they're saying something like this: 'We don't know what the noise in the old house was, or the white shape in the photo. So it must be a ghost.' These are examples of what's called an argument from ignorance. You can't make an argument from a lack of knowledge. You can't say, 'I don't know, therefore I do know.'... If I could just teach people a little bit about the argument from ignorance, I think we could give the ghosts their long-needed rest." Do you agree? Or do you have some truly spooky ghost stories to share for the Halloween season? Whether you're a believer or a skeptic, feel free to share your tale as a comment below. Extra credit: Even as Nickell and I were having our conversation this week, word was getting out about the death of skeptical thinker Paul Kurtz at the age of 86. Kurtz was the founder of the Committee for Skeptical Inquiry, the Council for Secular Humanism, the Center for Inquiry, Prometheus Books and Skeptical Inquirer. He was also Nickell's mentor. "Paul really gave me an office to work out of, and he just let me work," Nickell said. "I think of him as the father of the worldwide skeptic movement." Nickell noted that some skeptics think there's no need to respond to claims they consider silly. But Kurtz took a different view. "He realized early on that there really needed to be a voice to respond," Nickell said. And that's what made Nickell what he is today: the world's longest-running full-time professional paranormal investigator. 2006: Bring me your ghost stories! Stay tuned for more Halloween angles in the days ahead, including reality checks on werewolves (Team Jacob!) and vampires (Team Edward! ).